A 7 day holiday for the whole family including a Big Five Safari in the Malaria-free Madikwe Game Reserve and a few days in the scenic ” Mother City ” of Cape Town. Depart Johannesburg either by road or air to the Malaria-Free Madikwe Game Reserve, where you will spend three glorious days on Safari. After the excitement of seeing Big Game, you will spend four nights in the vibrant and cosmopolitan city of Cape Town. 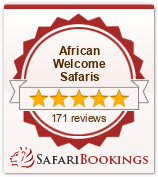 Madikwe Safari Lodge is a luxury lodge in the heart of Big Five Country, and not only offers amazing game viewing but is also incredibly child friendly, ensuring that your children will enjoy the delights of the African bush just as much as the adults. Your time in Cape Town will be spent exploring the scenic beauty of this amazing city – from visiting the summit of Table Mountain , to seeing where the two oceans meet at Cape Point. Take your children to Boulders Penguin Beach, a protected reserve on the beach and home to the African Penguin. A family holiday to delight all ! Arrive at Johannesburg OR Tambo Airport, and you will be whisked off by either a 4 hour road transfer or a short 1 hour flight transfer to the Madikwe Game Reserve. The Madikwe Game Reserve is a Malaria-free game reserve on the border of Botswana, and hosting a wide variety of animals, including the Big Five and other smaller mammals. Famous for it’s pack of Wild Dog – your safari at Madikwe Safari Lodge is guaranteed to provide the whole family with a safari to remember. Child friendly activities are offered at the lodge, allowing the adults to enjoy their Big Five safari game drives, knowing that their little ones are being entertained and delighted with children safari activities. Each morning you will enjoy a game drive in an open Safari vehicle with your ranger, returning to the lodge to relax in the heat of the day around the swimming pool or perhaps pamper yourself with a spa treatment. Optional bush walks are also available during the day. After a wonderful lunch, you will depart on a late afternoon Game Drive, watching the sunset over the plains of Madikwe. As your game drive goes into the night, you will explore and see the nocturnal game in the reserve, this time of the day when predators hunt. After your last early morning safari activity, you will be transferred back to Johannesburg, by either a road or an air transfer. Connect on a domestic flight to the Mother City of Cape Town. On arrival at Cape Town Airport, you will be transferred to the Victoria & Alfred Waterfront, in the heart of the action in Cape Town, where you will spend 3 nights at Waterfront Village – offering luxury self-catering accommodation in the heart of the Waterfront. The Waterfront Apartments are a home away from home, and although self-catering, all have fully equipped kitchens with all the equipment you could wish for, a lovely lounge and views over either the harbour or Table Mountain. The Victoria & Alfred Waterfront is a bustling area and very much the heart of all the action in Cape Town, hosting a wide variety of shops, restaurants and shops. Situated within walking distance to your apartment , you will be able to enjoy strolling around safely in the evening, with a choice of cuisine offered by top class restaurants on your doorstep. Spend your time in Cape Town taking a cable car ride to the Summit of Table Mountain, sipping award winning wines in the Cape Winelands or strolling around the beautiful Kirstenbosch Botanical Gardens. Breakfast at leisure, and enjoy your transfer back to Cape Town Airport in time for your flight back home.